Chengyan Ge, Lianjun Liu,* F. Gao, C. J. Tang, L. Dong, “Treatment Induced Remarkable Enhancement on Low-temperature Activity and Selectivity of Copper-based Catalysts for NO Reduction”, Catal. Sci. Tech., 2013,3, 1547-1557. Lianjun Liu, C.Y. Zhao, Y. Li, “Spontaneous Dissociation of CO2to CO on Defective Surface of Cu(I)/TiO2−xNanoparticles at Room Temperature”, J. Phys. Chem. C, 2012, 116, 7904-7912. 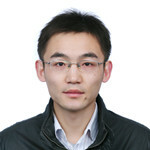 Lianjun Liu, H.L. Zhao, J. M. Andino, Y. Li, “Photocatalytic CO2Reduction with H2O on TiO2Nanocrystals: Comparison of Anatase, Rutile, and Brookite Polymorphs and Exploration of Surface Chemistry” ACS Catalysis, 2012, 2, 1817-1828.